Coastal News Today | What happens when the Bering Sea’s ice disappears? 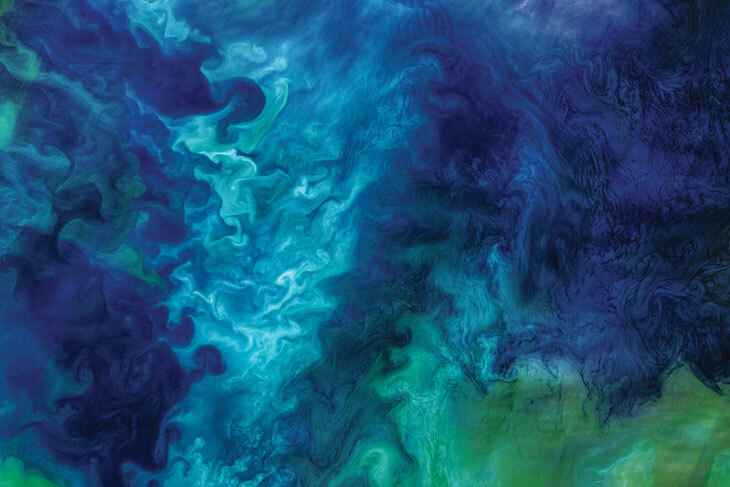 Spring blooms of phytoplankton add swirls of color to the Chukchi (shown in this satellite photo) and Bering seas. In 2018, the absence of sea ice in the southern Bering Sea delayed the blooms that form the base of the food web for several months. With an average temperature just below zero degrees Celsius — a few degrees colder than the surrounding water — that deep, cold pool is central to the Bering Sea ecosystem. The cold pool is where Arctic cod take refuge, hiding from predators such as Pacific cod and pollock, which are less tolerant of the cold. The Arctic cod get fat on large, shrimp-like copepods and spawn their young. In turn, the fish keep polar bears and seals well-fed.But in the winter of 2017–2018, the sea ice never appeared. And Peggy’s data, along with that of other moorings, revealed that the cold pool was AWOL too. Alarm trickled through the ocean science community, researchers who study everything from the physics of the Bering Sea to the small creatures that live on the seafloor and the larger marine mammals at the top of the food chain. In December in Washington, D.C., at the American Geophysical Union’s annual meeting, these researchers gathered to present their data, trade stories and ponder what it all means.